Do you like the higher conversion rate by maintaining the lower expense on the advertisement? 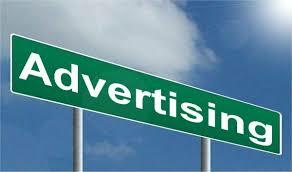 Then you must look for the pay per call advertisements. Instead of normal form filling or any CPA based advertising, pay per call will give you much better ROI and conversion. The effort will be less, and the output will stand out. Here in this article, we are going to talk about 5 amazing benefits of the pay per call advertisements. Not only in pay per call, in all the affiliate marketing, it doesn’t’ matter how much traffic you drive to the product landing page, the conversion is what matters. And if you are struggling with higher traffic but low conversion, you should definitely try pay per call. It will change the way you used to promote your product or service. The major reason why pay per call converts more leads is because the user needs to call the tracking number in order for you to have the valid lead. And when someone is taking the effort to make the call to you means that will be definitely the customer who will be aggressively looking for the service. And this way, pay per call provides a higher conversion rate. One thing that I wanted to put here is the ticket size. pay per call is not for everyone. If you are selling two or lower three-digit product or service, pay per call might not be useful for you. The reason behind this is, a single call might cost you around 10% of the product cost. But when your ticket size is around thousand dollars or even more, pay per call will work like charm for you. Another benefit of pay per call if you don’t have to hire the pitchers who will do cold calls based on the leads you have received when someone fills the web form. Here you have already received the calls and the potential customer is on the call and all you have to do, simply explain the stuff and convert. And this is the reason, pay per call always provide better ROI compared to any other form of advertisements. The way your ads are performing, from which location you are getting better ROI, which area and group you should target, you can get all these details with the tracking tools like Ringba. All you have to do is, just join any pay per call network and start creating your ads. Later you can implement the Ringba tracking tool and the other important gradients like toll-free numbers, IVR etc. and get going. With the use of IVR (interactive-voice-response) in pay per call campaigns, you can minimize the manual effort and get the things automated. IVR help you to route the calls to the designated person or department and in this way, you save the expenditure, increase success rate, and decrease the time taken while resolving the issues. These were the top five benefits of pay per call campaigns. If you are selling some products or providing some services whose ticket size is in large three-figure or four-figure, you must try pay per call marketing for better benefits.